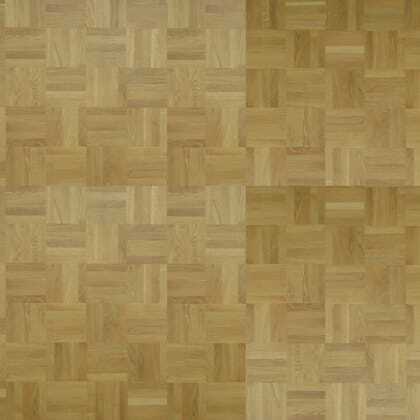 The process of getting a new parquet floor is a bit more complicated than engineered or solid wood flooring. 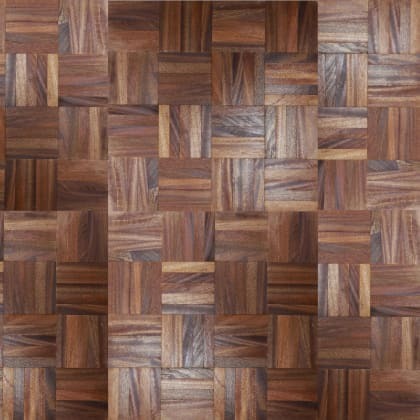 You need to decide on a pattern/design, work out the number of blocks you need for that pattern and there installation can be more restrictive which can be somewhat daunting This is why we offer a number of services that can help you create the perfect parquet flooring system for you and the requirements of your home. 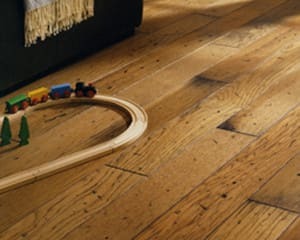 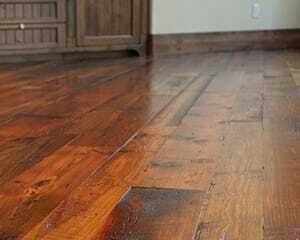 Wheather it is a small hallway, grand ballroom or whole house we can aid you in creating your ideal wood floor at a reasonable price that will last years to come, we can assist you in any stage of the process from supply to design to installation. 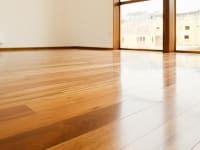 If you want to talk to one of our flooring experts, get a free no-obligation quote and arrange a home visit (where we can measure your room, inspect your subfloor and bring a number of samples) please give us a call on 0845 293 9374, fill out our enquiry form or use the live chat at the bottom right of the page (is an agent is online and available). 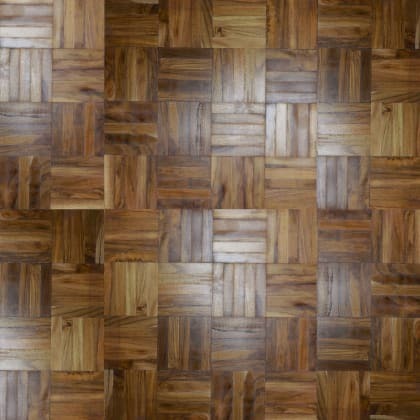 Parquet flooring is normally installed on the ground floor as it normally requires a solid flooring base (like concrete) so you will generally see this type of design in a hallway, drawing, dining or living room. 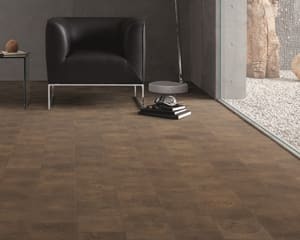 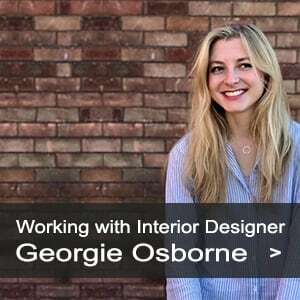 It is not normally used in small rooms as the pattern can sometimes look a bit disorganised but it is not impossible with the right pattern and product. 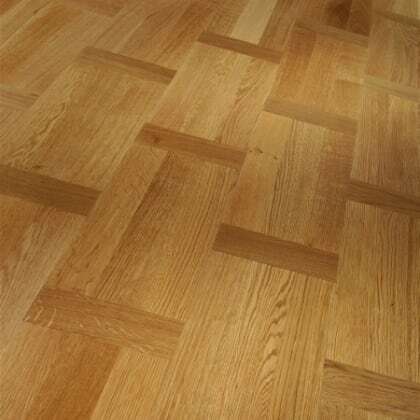 Installing a Parquet floor is a highly skilled art professional a skill and tradition formed from years of experience and quality fitting of wooden flooring. 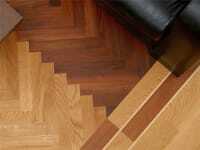 Our Parquet installers are amongst the most experienced and qualified in their field within the UK. 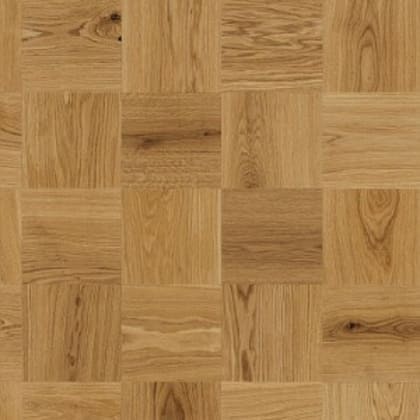 As it is made up of small blocks you can have a number of different designs for your parquet wood flooring. 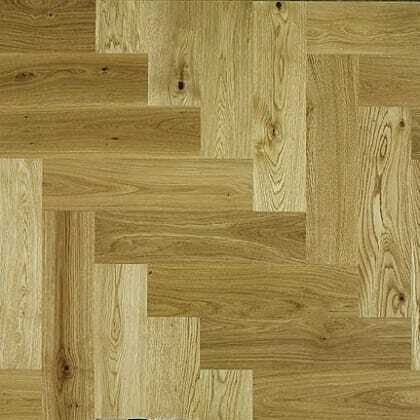 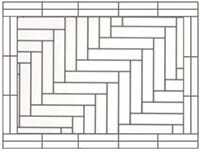 Some can be simple (like plain blocks or laid in regular/irregular lengths laid as strip flooring) some more complicated (like herringbone, square basket or diagonal) and sometimes people have a bespoke piece of art made with various shades in the middle of your floor. 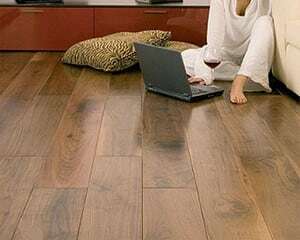 Whatever the design it will require a skilled and experienced installer to make sure your flooring is fit correctly and looks as it should. 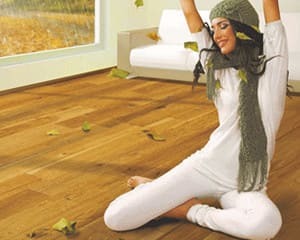 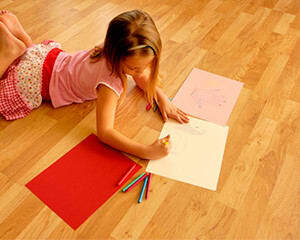 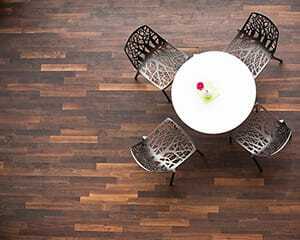 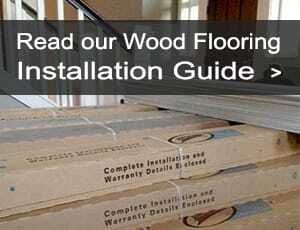 It is not an easy process and definitely not suggested without experience installing parquet flooring. 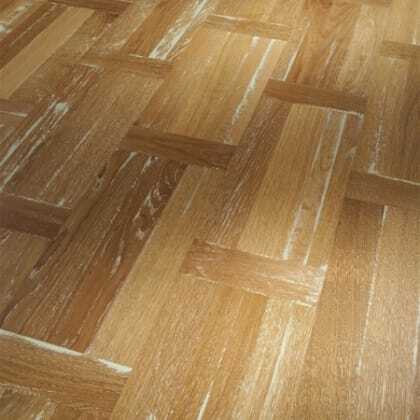 Some people choose to have a border around their parquet wood flooring that can make the floor more distinctive while others choose to have a clean effect with no border. 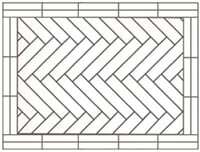 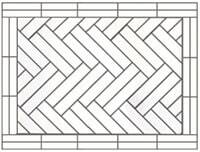 If you choose to have a border you can choose specialist parquet border pieces that can be longer and thinner than the other blocks. 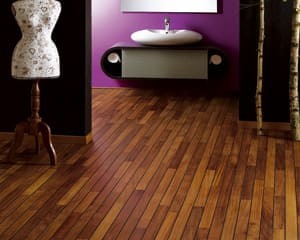 You can also have the border a different shade or species to make the flooring stand out even more. 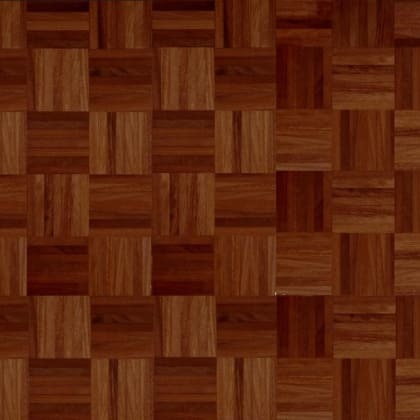 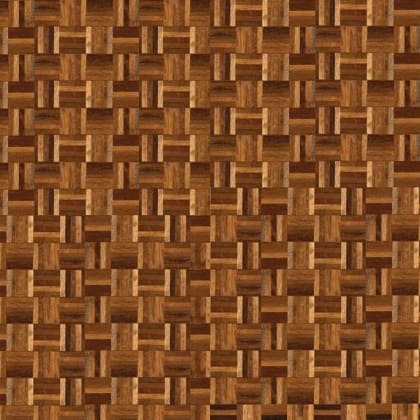 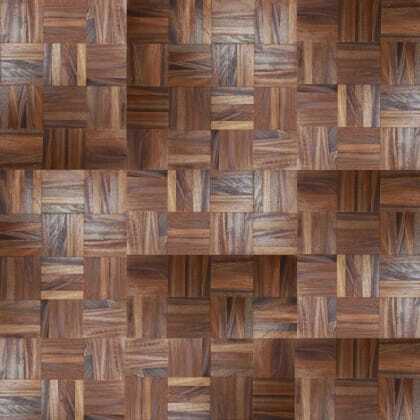 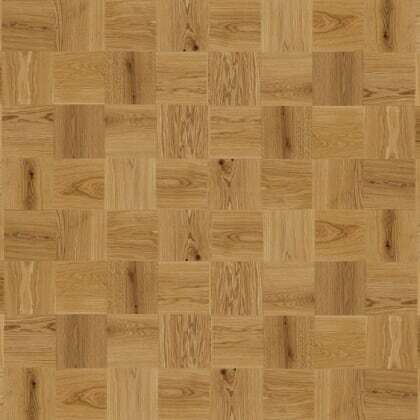 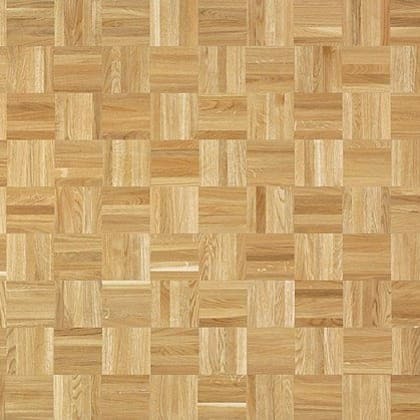 Here are some examples of some of the more popular parquet patterns you can have in your home.